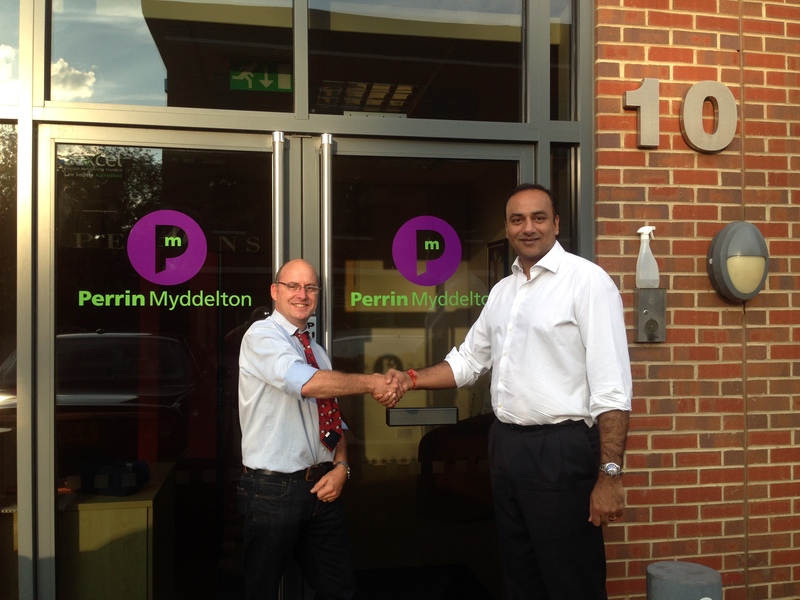 The 1st of October marked the rebranding of Perrins Solicitors as Perrin Myddleton. Merrys were commissioned to produce their headed note paper, business cards, compliment slips and document corners. 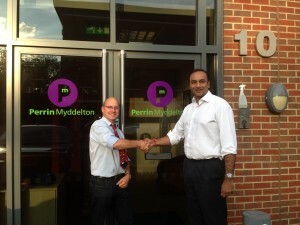 When it came to the signage, Simon required the assistance of PM’s new partner Sanjeev Shah who at 6 foot 6 was ideal to position the new door graphics.